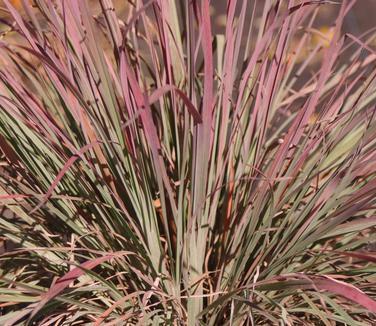 ‘Standing Ovation’ Little Bluestem is an exciting new introduction by those talented folks at North Creek Nurseries. 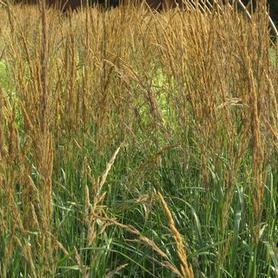 The steel blue blades are wider than most Little Bluestem. With thicker stems, the habit is reliably upright throughout the summer, fall, and winter. The summer colors of blue with hints of purple turn to spectacular shades of lavender, red, and orange in the fall. The airy seedheads are beautiful, especially when backlit by afternoon light, and the light tan winter color is displayed impressively on the upright strong stems. We find that it tolerates more irrigation than we expected, although its ideal conditions are those of dry sterile sites. 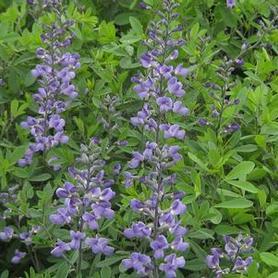 One of the native plants chosen by Piet Oudolf for the newly planted meadow garden at Delaware Botanic Gardens.